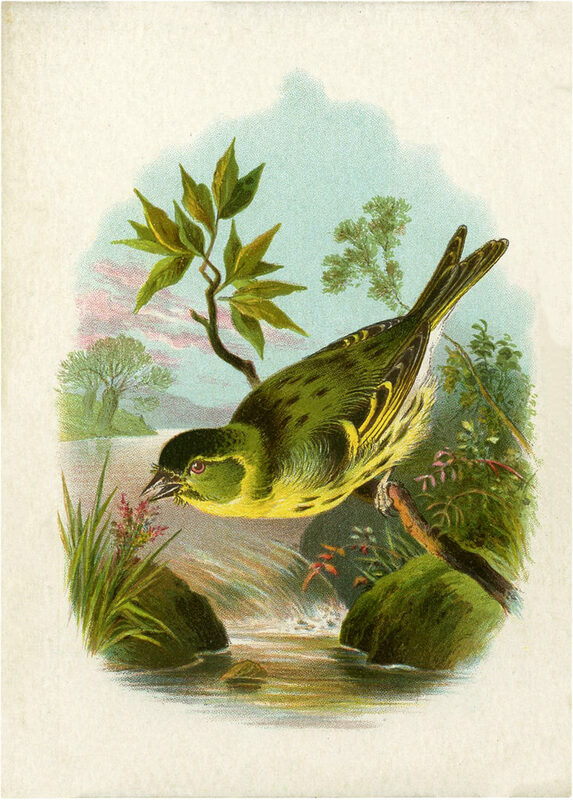 Lovely Vintage Yellow-breasted Green Bird Image! Today I’m sharing this Lovely Vintage Yellow-breasted Green Bird Image! This is a lovely image of a bird with green feathers and a sunny yellow breast sitting on a branch over a flowing river. There is green grasses and vegetation with a hint of pink in the sky and flowers. It would pair with this image. 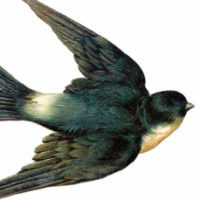 It would be perfect to frame as is or nice to use in your Nature Craft or Collage Projects! I like all of these great Bird Art Printables that you have shared, Karen. I think these vintage images are much better than any photos taken these days in terms of their usefulness in art journals, scrapbooks, etc. Thank you for sharing this with us! The detail and colours are so pretty! !